Deliver emails on time to the public & business mailbox of the recipients. 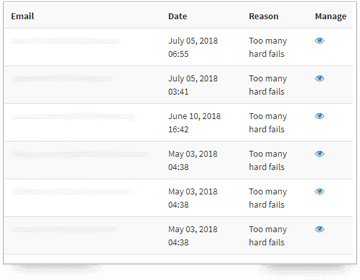 Monitor email sending reputation of the organization through real-time domain & IP monitoring. 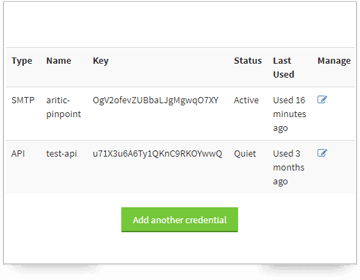 With API, start sending transactional email notification within minutes. Through robust cloud API and webhook, process inbound emails, track open & clicks, handle bounce effectively. Know how fast your email delivery is, because you MUST know. If you reschedule your newsletter campaign, that is okay for your customers. But if they do not receive the payment confirmation email after making a purchase from your platform, they will panic. And then they email the support. This is extra burden on your support team because your reputation as a brand is at stake. 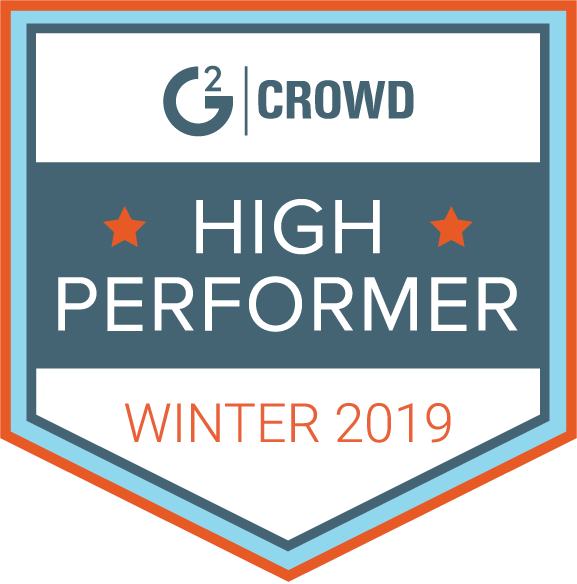 Password reset, account confirmations, license keys, order updates, and other such transactional emails are critical to your business, and they should arrive in your customer’s inbox INSTANTLY. 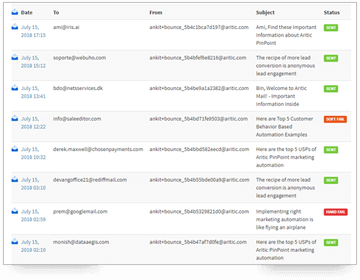 Know and analyse your email delivery against exact data. Email delivery failure can happen. Know accurately why this happened. Get detailed insights into email delivery, email opens, click-throughs, and email engagement. Design your email delivery strategy based on the email engagement data for better results. Keep an eye on our control panel to know the latest trends and shifts happening in bulk email sending. Display reports as per your convenience and needs- be it time-range specific or activity-specific. Opt for our SMTP integration or go for a more robust API integration. 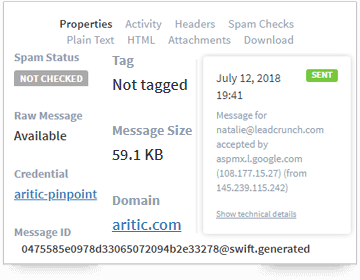 Aritic Mail ensures every endpoint, hook and integrations are on-point for an easy start with transactional emails within your web application. With detailed guides and helps documents, set up Aritic Mail as per your requirements. Organise your transactional emails in different logical groups, get instant notification for bounce emails or opened messages, and protect your domain and reputation. Bonus: Status page keeps you informed about your own application. Generate your own customised Aritic Mail inbound email address or use our automated address. Trust Aritic Mail to convert your emails into ordered JSON for seamless consumption and process the resulting text. When we say text, it encompasses everything- header, recipient, and a transparent version of the email text. Resort to inbound processing to resolve your customers’ queries quickly and keep them happy.